In a sense, the Russia story that’s so enveloping Washington today actually started last July, when the FBI opened an investigation into Moscow’s efforts to interfere in the 2016 election. Now, roughly one year later, that investigation is still open, and lawmakers in both chambers of Congress are conducting inquiries of their own. But while the different probes overlap significantly, their missions aren’t identical — and the entities carrying them out have different resources and powers at their disposal. Here’s a guide to the four ongoing investigations into Russia’s role in the 2016 election and its possible ties to President Donald Trump’s campaign. Normally, FBI and Justice Department officials are tight-lipped in public settings about the bureau’s ongoing investigations. But earlier this year, the Justice Department broke from convention in March when it gave then-FBI Director James Comey permission to discuss his agency’s Russia probe during a public hearing before the House Intelligence Committee. At the hearing, Comey said the FBI’s probe on Russia was a counterintelligence investigation; typically, these are aimed at identifying, or even stymieing, foreign intelligence operations on American soil. The investigation, he said, would take a close look at whether any of Mr. Trump’s campaign associates were involved in Russia’s efforts to meddle in the election. Comey added that the FBI would also examine whether any crimes were committed as part of those efforts. News reports in recent months have also indicated that the FBI may also be looking into Paul Manafort (Trump’s former campaign chairman), Donald Trump Jr. (Trump’s eldest son), Jared Kushner (a senior White House adviser who is also Trump’s son-in-law) and Trump himself — specifically, his finances and whether Trump obstructed justice by trying to interfere in the investigation. But to date, no current or former FBI or Justice Department official has publicly confirmed any of those details. In the meantime, there has been turnover at the very top of the investigation’s chain of command. When the FBI opened its investigation last July, Comey was the bureau’s director, and then-Attorney General Loretta Lynch was overseeing it. In the wake of Comey’s firing, the probe is being led by Special Counsel Robert Mueller, who served as FBI director under Presidents George W. Bush and Barack Obama. Mueller was appointed by Deputy Attorney General Rod Rosenstein in May, two months after Attorney General Jeff Sessions, who had served as a Trump campaign adviser, recused himself from any federal investigations that involve the Trump campaign. The recusal infuriated Trump, who has stepped up his public criticism of Sessions in recent days, sparking speculation that the president is pushing the attorney general to resign. WHAT POWER DOES THE SPECIAL COUNSEL HAVE? 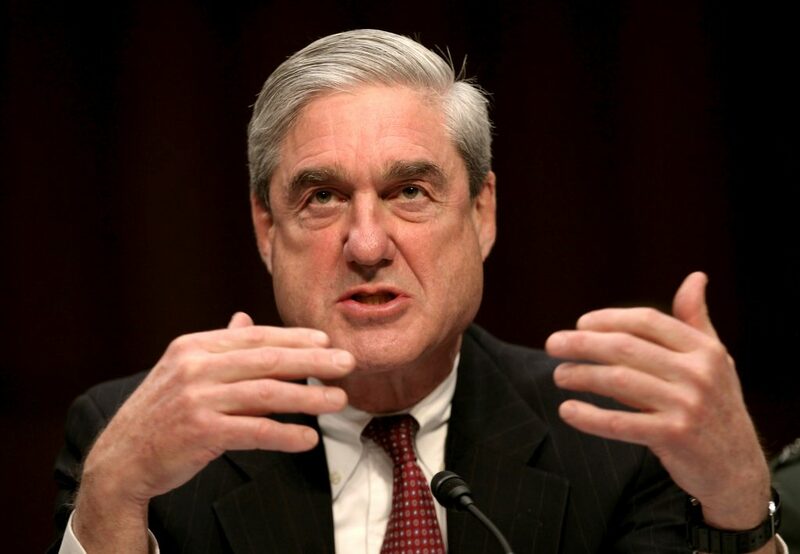 As special counsel, Mueller has roughly the same authority as a U.S. attorney, meaning that he can file criminal charges, issue subpoenas and litigate a prosecution. The special counsel is an independent investigator, but ultimately answers to the Justice Department. READ MORE: How does a special counsel work? After he was fired, Comey talked with the Senate Intelligence Committee about memos he had written about his meetings with Trump before he was dismissed as FBI director — including one conversation at the White House where, Comey claimed, Trump asked him to drop the bureau’s investigation of Flynn. The memos, the content of which was leaked just after Comey’s firing, raised the question of whether Trump obstructed justice by interfering in the FBI’s Flynn probe. Trump has denied asking Comey to stop investigating Flynn. WATCH: Lisa Desjardins talks to Judy Woodruff about what then-FBI Director James Comey revealed about the FBI’s Russia probe. After Comey testified publicly before the Senate Intelligence Committee last month, the Washington Post reported that Mueller had expanded the FBI probe to look at whether Trump obstructed justice. And this month, Bloomberg reported that Mueller expanded the scope of his investigation again to include a look at the Trump family’s finances. Most everything else about the FBI probe remains hidden from public view. In June, after Trump fired him as FBI director, Comey told the Senate Intelligence Committee that the bureau had also been conducting a criminal investigation into Trump’s first national security adviser, Michael Flynn, over some of the statements Flynn had made about his contacts with Russians. It is unclear, however, whether the investigation into Flynn — who was fired in February — is still ongoing, or how closely it was intertwined with the broader Russia probe. As the FBI investigation continues, it’s unclear how many Justice Department or FBI staffers are working for Mueller. Mueller has reportedly hired a dozen or so lawyers — many of them with Justice Department experience — to join his team of prosecutors. The FBI’s acting director, Andrew McCabe, has told a House subcommittee that “a great number of folks” from the FBI are assigned to Mueller’s team. READ MORE: Who are the lawyers helping Robert Mueller in the Russia investigation? “I have assured Director Mueller that we will do everything necessary to deliver the resources and to meet the needs that he has to do that work,” McCabe said at the hearing in June. At the end of the investigation — regardless of whether Mueller decides to bring charges — he is required by federal regulations to produce a report explaining his decision. That report goes to Rosenstein, who must notify Congress of the investigation’s conclusion and decide whether the report should be released publicly. The Senate Intelligence Committee is leading its own investigation into Russian meddling in the 2016 election and potential links to Trump’s campaign. Indeed, the panel’s two highest-profile public hearings so far — the one in early June with Comey after his firing, and one with Sessions about five days later — have called attention to the independence of the FBI probe, and whether Trump himself attempted to influence it. Other hearings focused on the history of Russia’s interference operations, and its meddling in elections across Europe. Yet others zeroed in on what is known — and what remains unknown — about Russia’s meddling in the United States, including its attempts to gain access to state and local election systems. There is some overlap between the panel’s probe and the FBI’s, but there is one key difference: The FBI is part of the Justice Department, which can bring charges and prosecute crimes based on the evidence collected by the bureau’s investigators. The Senate Intelligence Committee has no such powers — and neither does the full Senate. Senate Intelligence Committee is able to conduct and discuss more of its work in public, compared to the FBI. 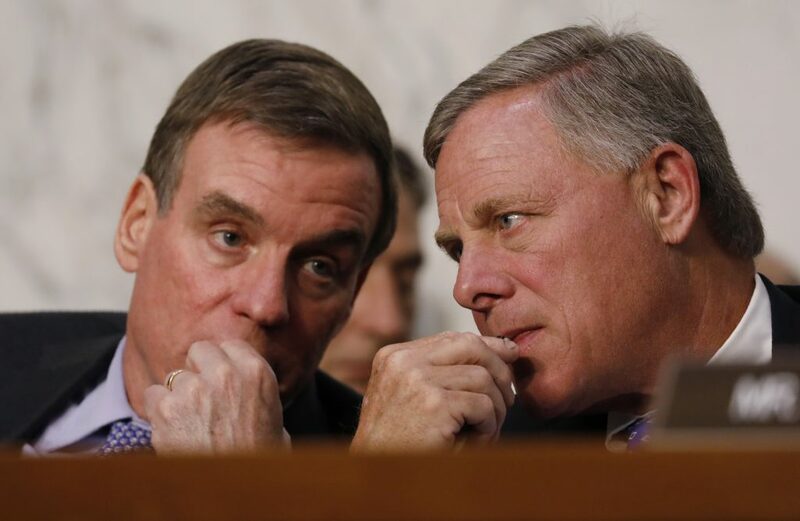 In a joint statement in January launching the panel’s inquiry, its leaders — Chairman Richard Burr, R-N.C., and Vice Chairman Mark Warner, D-Va. — said they would hold open hearings when possible to keep the public informed. When the committee completes its probe, it plans to detail its findings in two reports: one classified and one unclassified. 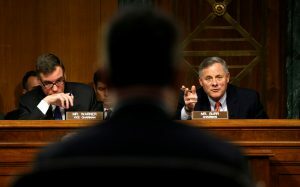 Burr said recently that he was hoping the committee might wrap up by the end of the year. House Permanent Select Committee on Intelligence Chairman Devin Nunes, R-Calif, speaks to the media Mar. 7 about President Donald Trump’s allegation that his campaign was the target of wiretaps on Capitol Hill in Washington. File photo by Aaron P. Bernstein/Reuters. The House committee is pursuing more or less the same scope as its Senate counterpart: Russian meddling in the 2016 election and possible ties to Trump’s campaign. Like its Senate counterpart, the House Intelligence Committee can call public hearings and issue subpoenas compelling individuals to testify. The House panel is also planning to produce a public report at the end of its investigation. But it, too, doesn’t have the power to prosecute crimes. Still, the panel’s hearings have made news and shed light on the unfolding Russia story. It was at Comey’s public testimony before the panel back in March that he first confirmed the existence of the FBI’s Russia investigation. And former Secretary of Homeland Security Jeh Johnson’s appearance before the committee in June gave its members a chance to hear from a former administration official who had been charged with protecting the country’s voting systems. But the committee’s investigation drew the biggest headlines earlier this year over a controversy surrounding its chairman, Rep. Devin Nunes, R-Calif. 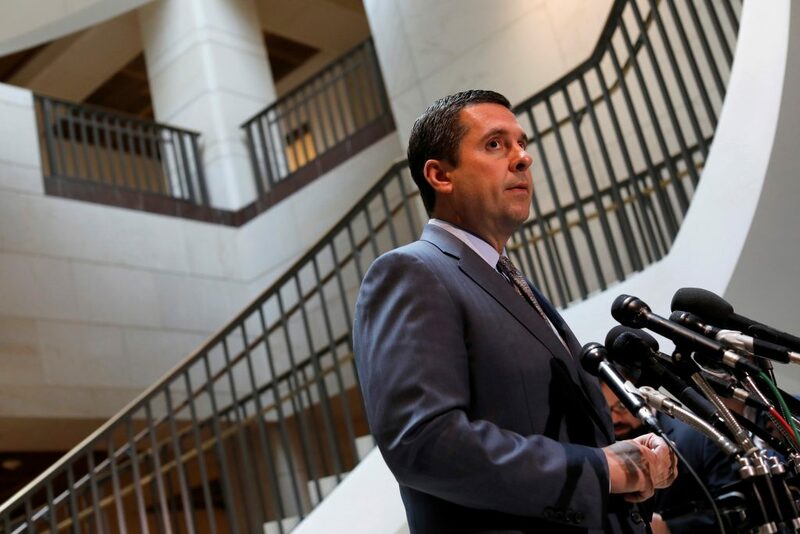 In March, Nunes faced heavy criticism after suggesting, without producing evidence in public, that U.S. intelligence agencies improperly picked up communications involving members of Trump’s transition team. Nunes also came under fire after it was revealed that he met with White House officials before making the claim. Nunes removed himself from the committee’s Russia probe soon after, leaving Rep. Mike Conaway, R-Texas, in charge of the committee’s probe. Rep. Adam Schiff, D-Calif., a vocal Trump critic, remains the top Democrat. The committee doesn’t have any hearings scheduled — for now. It spent early this week talking with Kushner behind closed doors. Though the Judiciary Committee has signaled that it plans to play a part in the Russia investigations, it’s not clear what the scope of its own probe is, or what goals it has. It could include things like whether Trump obstructed justice, according to reports last month. Unlike the Justice Department, the Senate Judiciary Committee cannot bring charges or prosecute crimes based on what they learn in their hearings. Members of the Senate Judiciary Committee, which oversees the Justice Department and the FBI, expressed disappointment when Comey, after getting fired, spurned their invitation to appear before the committee. Comey testified before the Senate Intelligence Committee instead. Despite failing to land testimony from Comey, some of the panel’s members have heard from Sally Yates, who was serving as the acting attorney general during the first days of the Trump administration and raised concerns with the White House over Flynn. Yates appeared before the Judiciary Subcommittee on Crime and Terrorism — which is also examining Russia’s role in the 2016 race — in May, and confirmed that the Obama administration had doubts about Flynn before Trump appointed him national security adviser. 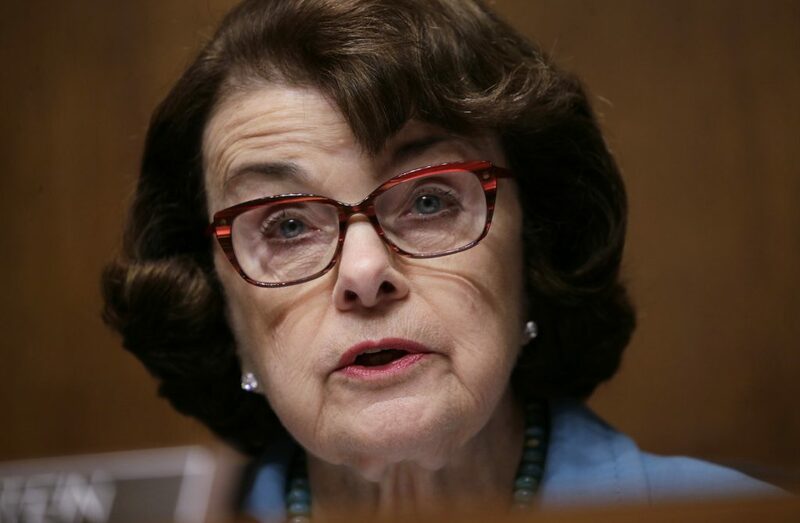 The panel’s leaders — Sen. Chuck Grassley, R-Iowa, and Sen. Dianne Feinstein, D-Calif. — succeeded in getting information from Trump Jr. and Manafort after threatening to force both to appear at a public hearing Wednesday. Grassley and Feinstein issued a subpoena to make Manafort testify, but retracted the request after Manafort began handing over documents to the committee. This article has been updated to indicate Nunes is a Republican.